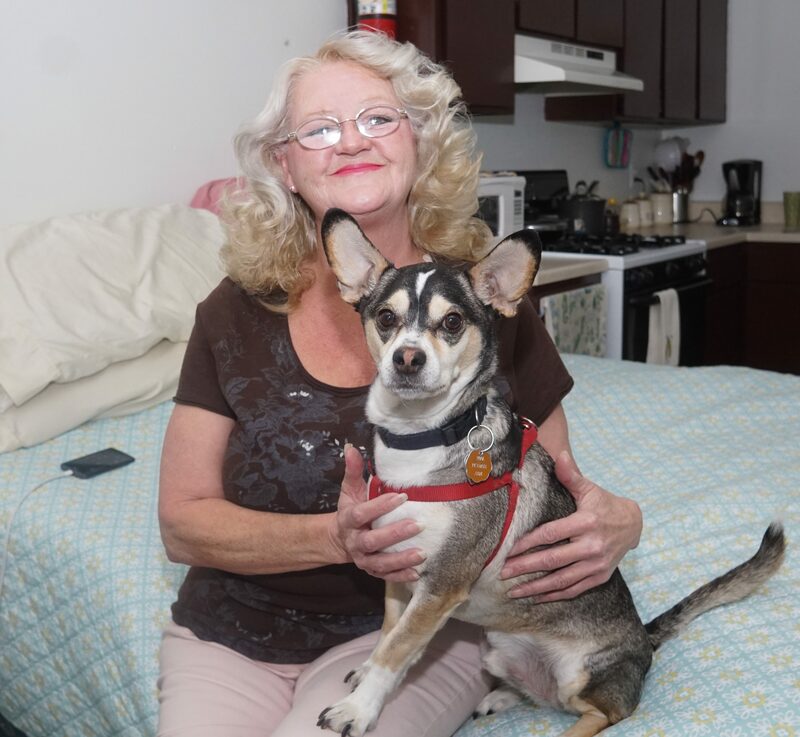 Irene, a participant of Meals on Wheels of Albuquerque, lives in a small apartment with her cute service dog named Nike. She moved to New Mexico a number of years ago with her husband, who was in the Air Force and stationed at Kirtland Air Base. The accidents have left Irene with seven herniated disks in her back, a hairline crack in her sternum, and constant pain in her right leg. She was homeless and staying in shelters until 2009, when she was deemed disabled. With the help of some caring friends who allowed her to stay with them occasionally, she was able to save money for her own apartment. As Irene and Nike waited patiently for the volunteers of Meals on Wheels to arrive, Nike paid particular attention to the door. Irene said he looked forward to the dog treat the volunteer often brings him. She says, “I’m so very grateful for Meals on Wheels and for you who donate to support them. Thank you for understanding how important it is for people like me with economic hardships to receive a meal.” Nike barked in agreement. Click here to donate to help more people like Irene and Nike!